Oh no! Not more leaf spot posts! This is the last one for now, I promise. 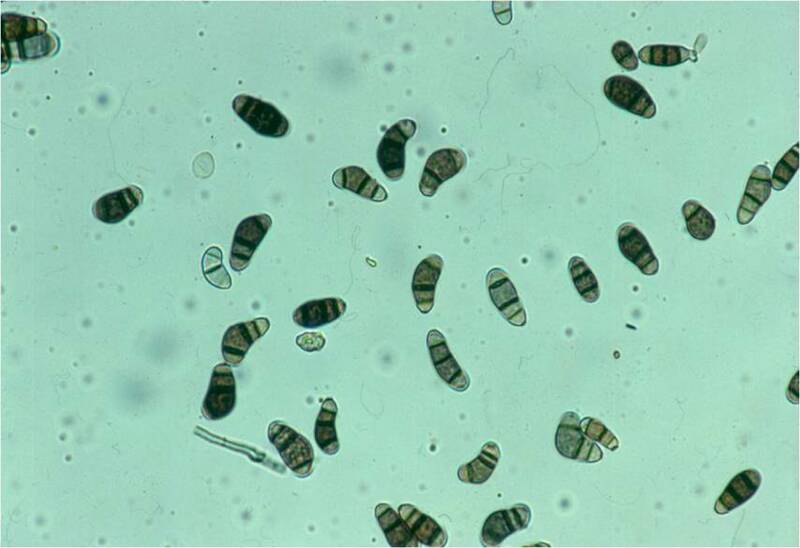 First thing first, we had a nice sample from a perennial ryegrass baseball field that was submitted for dollar spot diagnosis, which it had, but it was also covered with leaf lesions caused by the fungus Bipolaris sorokiniana. Sabrina thought it would be nice to share a photo with you. Now on to today’s business. Curvularia species are widely known as saprophytes (eat dead stuff) in turfgrass systems. 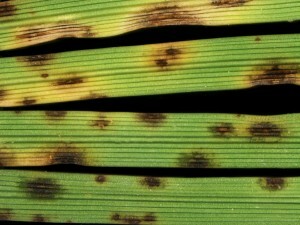 Many researchers, starting in the 1940s, have studied different species of Curvularia as turfgrass pathogens. The results of all the research are decidedly variable. 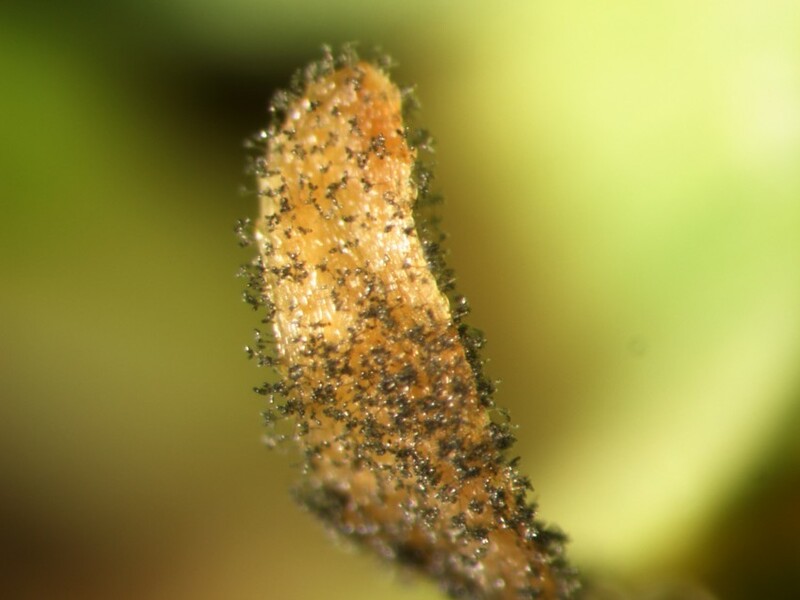 What is clear from all the work is that, as a group, the ability of the different Curvularia species to kill healthy turfgrass is suspect. 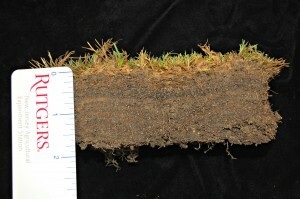 Dr. Houston Couch labels six species of Curvularia as incitants of senectopathic disorders in his text “Diseases of Turfgrass.” Dr. Couch was right about one thing, that under particular circumstances, Curvularia species are associated with generalized patches of thin and discolored turf. 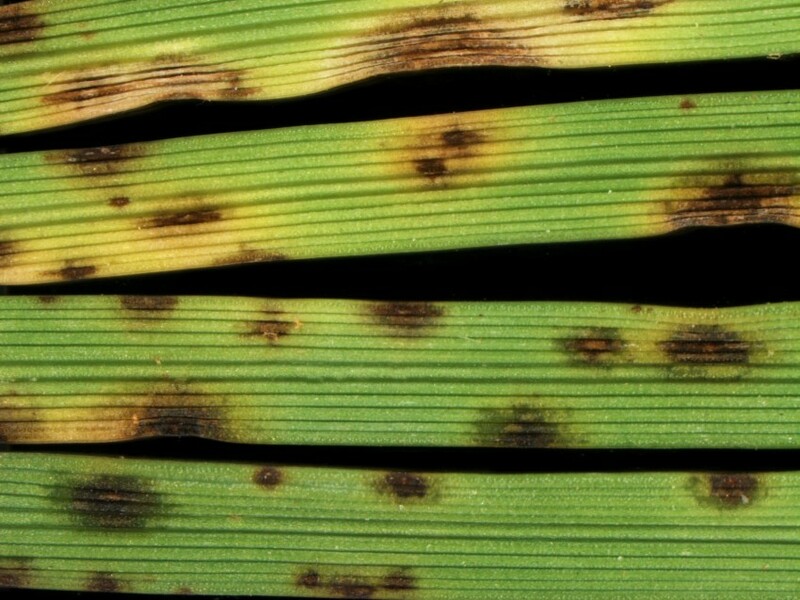 Whether the fungus can kill grass outright, or only hastens the senescence of grass injured by something else, is another question. Last week, we got as many samples in four days as we did in the whole month of May – 10 inches of rain and a few 90ºF days will do that to you. 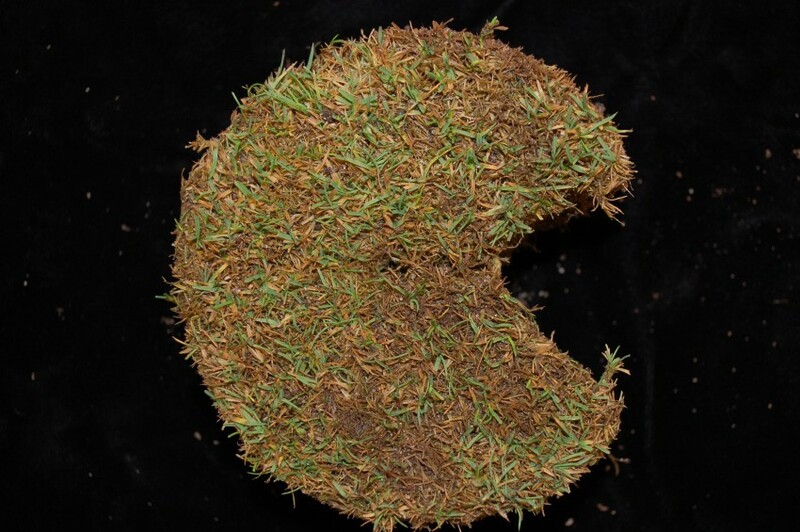 Samples came from greens, fairways, and tees – bentgrass, ryegrass, and annual bluegrass – and almost all with some Curvularia. Those with infrastructure issues relating to water – compaction in the fairways causing puddles and organic matter in the greens holding on to the rain like a sponge – were the worst offenders. Realize there are no chemical treatments for Curvularia in these cases. One can’t spray away thatch or rain. 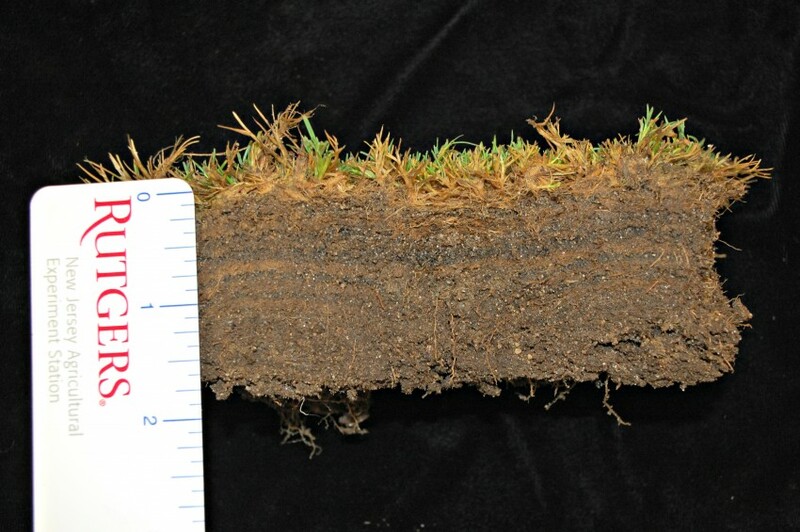 A “Fading Out” diagnosis just might be a polite way for a diagnostician to say, “Break out the aerifier” or “Turn off the water” or “Raise the cutting height” and do what you can to relieve the stress and get the grass growing again. Anyone got a squeegee?